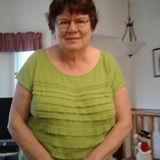 I am Linda Letts and looking to enjoy and care for your children. Want to connect with Linda? Hi there my name is Linda. I am a nanny who is good and looking for work in Calgary. I look forward to speaking with you! Caring Nanny And A Home School Teacher. I am the nanny for you!